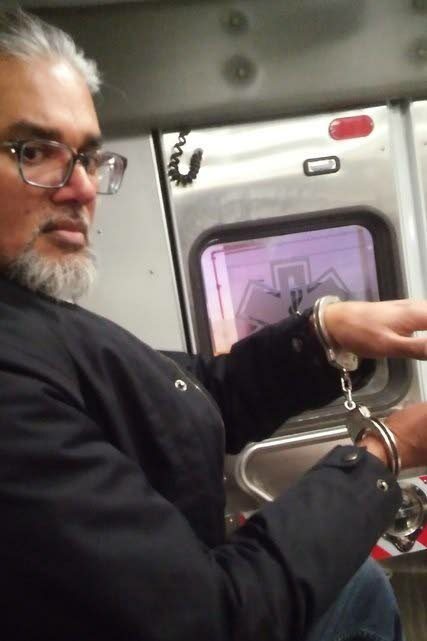 TT-born immigration rights leader and executive director of the New Sanctuary Coalition of New York City, Ravi Ragbir, in handcuffs after being detained by ICE officers in NYC during a scheduled check-in on January. PHOTO COURTESY AMY GOTTLIEB. 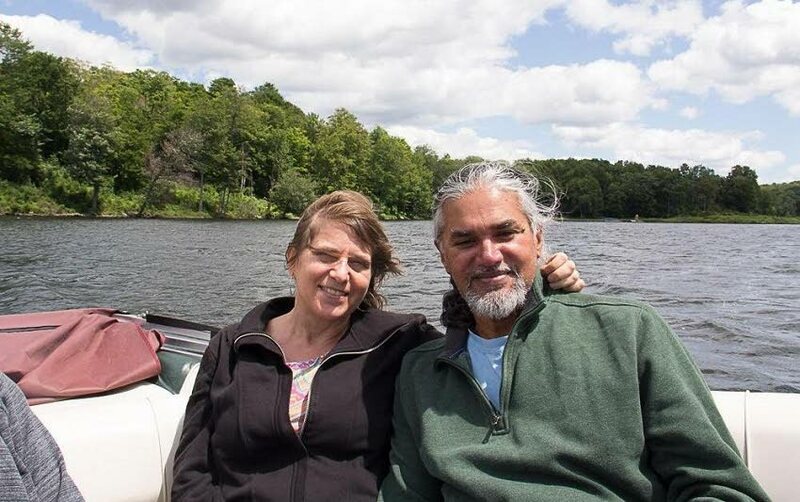 Amy Gottlieb still believes her husband Ravi Ragbir’s legal team “can get him out” of detention by the US’ Immigration and Customs Enforcement (ICE) in Miami, Florida so that he can continue fighting his deportation case in the courts. “I still believe we can get Ravi out of this. “It’s going to be hard but we have a lot of really strong legal arguments, such as the full-on lack of fairness in how he was detained at a scheduled ICE hearing that’s torn him away from his family,” Gottlieb told Newsday yesterday. 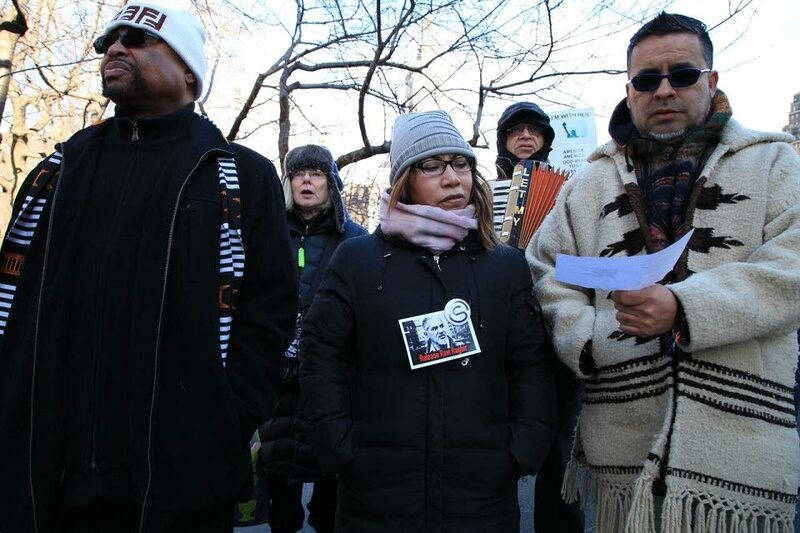 Ragbir, a TT-born immigration rights leader and executive director of the New Sanctuary Coalition of New York City (New Sanctuary NYC), was unexpectedly detained by ICE officers last Thursday during a scheduled check-in. Although he received lawful permanent residency in 1994, Ragbir faces deportation from the US based on a 2001 conviction for wire fraud. Ragbir is being detained at the Krome Service Processing Center in Miami, Florida from which he could be deported in the coming days or weeks back to Trinidad. A fellow immigration rights activist and associate director at the American Friends Service Committee, Gottlieb has been coping with the stressful situation with the support of “amazing friends and family”. “It’s still tough though because I feel like I’ve been a victim of crime. 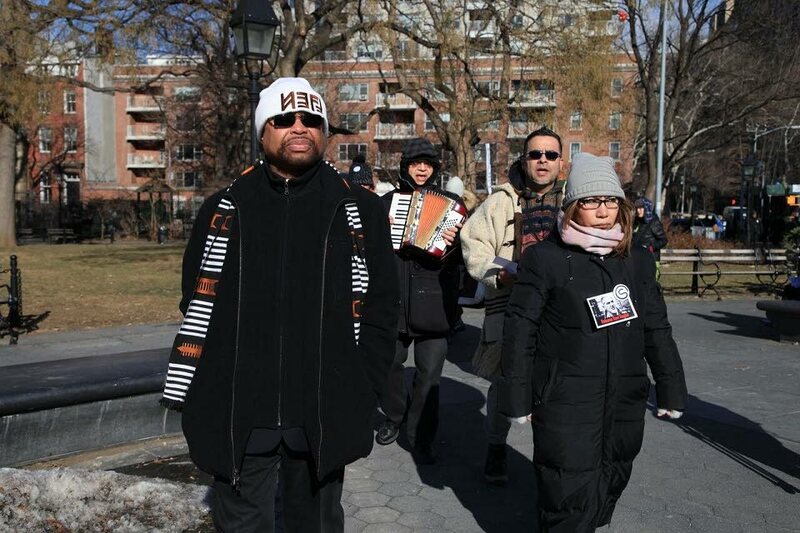 Last Thursday ICE spokeswoman Rachael Yong Yow said Ragbir had previously been allowed to remain free from custody at the agency’s discretion but that he “has since exhausted his petitions and appeals”. Gottlieb and Will Coley – member of the recently formed Ravi’s Defence Committee – both denied this. Amy Gottlieb and her husband Ravi Ragbir. A well-known immigration rights leader and executive director of the New Sanctuary Coalition of New York City, Ragbir, seen here with his wife in an undated photo, was unexpectedly detained by the US' Immigration and Customs Enforcement (ICE) on January 11 during a scheduled check-in in NYC. The TT-born Ragbir now faces permanent exile from the US, most likely back to TT from which he emigrated to the USA in February 1991 on a visitor’s visa. 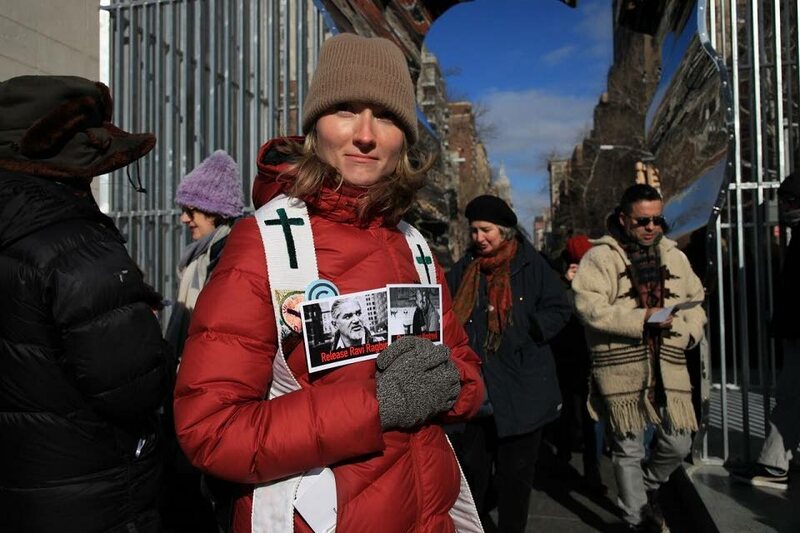 PHOTO COURTESY NEW SANCTUARY NYC/KIRK CHEYFITZ. Gottlieb said, “There’s a case pending in the Federal District Court in New Jersey. It seems ICE just decided to lose their patience when they detained him. They have absolute discretion to let Ravi stay in the country while he continues to fight his case.” Coley described the ICE statement as outrageous. “Ravi’s case is not exhausted and for ICE to detain and then try to deport him in the middle of this is what’s most outrageous. His legal team is exploring ways for him to stay in the US. His wife and daughter are both US citizens and deporting Ravi would mean separating them for the rest of their lives,” Coley told Newsday. Reply to "Wife hopeful ICE will set Ravi free"